The following list presents the top 10 popular breakfast cereals most likely to contain Monsanto’s GMO corn. For the record, none of these cereals claim to be GMO-free, nor made with organic corn. The exact GMO content of these cereals remains a mystery precisely because manufacturers of these cereals refuse to label them with their GMO content. This lack of full disclosure by the food industry underscores the urgent need for a labeling law so that consumers can make an informed decision. Legal note: In no way are we claiming these cereals will cause cancer tumors to grow in your body or that they pose an immediate risk to your health. Those studies have not yet been done on humans. GMO corn is an experimental crop with unknown long-term effects of humans. Breakfast cereals made with GMO corn may turn out to pose a significant long-term risk to human health, but that has not yet been determined. This article is presented in the public interest, reflecting reasonable caution over a common food ingredient which French scientists have now convincingly linked to cancer and premature death in studies conducted on rats. Which Cereals Contain No GMOs? 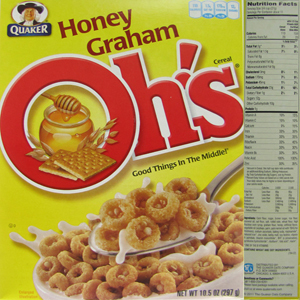 There is only one brand of breakfast cereal I know of that’s 100% non-GMO and 100 percent organic across their entire product line. That company is Nature’s Path. 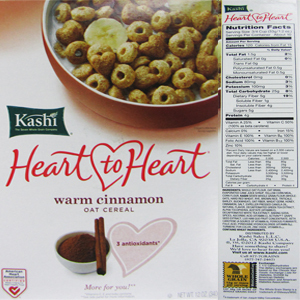 If you buy breakfast cereal, and you don’t want to eat Monsanto’s GMO corn, always choose cereals from Nature’s Path. This is my No. 1 most highly trusted cereal company. Many “natural” brands that appear to be healthful and natural are actually not organic or GMO-free. 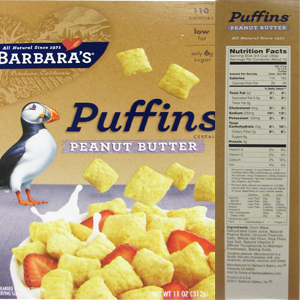 For example, Barbara’s Bakery cereals are not organic. Although they are positioned in store shelves alongside other organic cereals, they are actually made with conventional crops grown with pesticides which may include Monsanto’s Roundup. You may also notice that most of the cereals most likely to contain GMO corn are children’s cereals. It is the children in America who are being fed the most GMOs. This represents a highly unethical food experiment being conducted on an entire generation, and the long-term effects of human consumption of GMOs are simply not known. 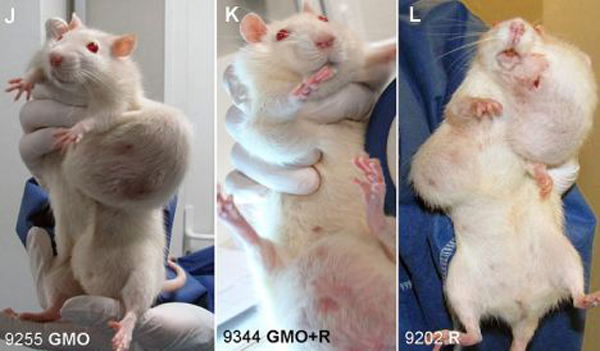 The photo released by the French research team, showing large cancer tumors growing at a strongly heightened risk in rats fed a “lifetime” of Monsanto’s GM corn, is shown below. According to that study, 70 percent of females died premature and showed significant damage to their liver, kidneys and other organs. Pretty crazy, huh? This article was written by Mike Adams and published at Natural News. Photo by Larry/Flickr.